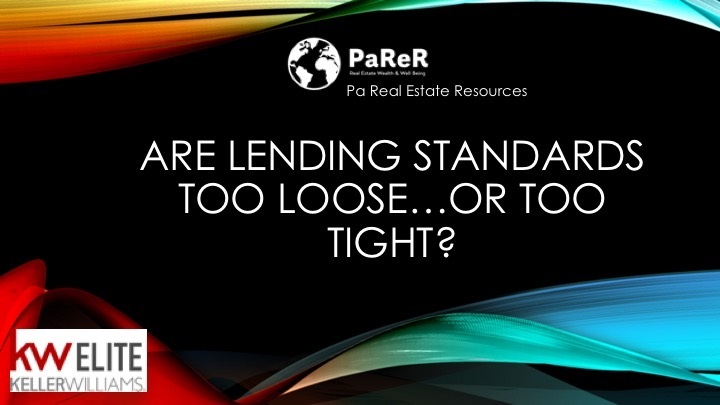 Lending standards determine the availability of credit which has a direct impact on the housing market. Are the lending standards too loose like they were in the early 2000's? Or are they too tight?